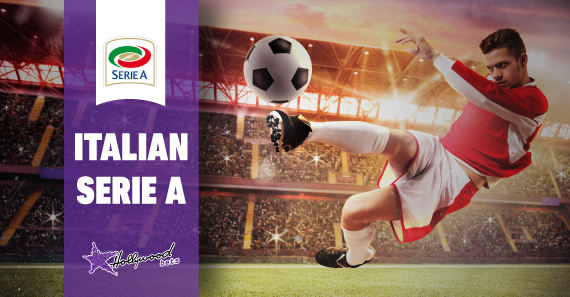 Our football expert previews round four of the Italian Serie A which resumes on Saturday the 15th of September 2018. And we back! Following the international break, club football makes a swift return and round four offers plenty of exciting clashes. One of the world’s best players, Cristiano Ronaldo, is yet to open his goalscoring account and will be desperate to finally make his mark on the Serie A. Enough with that small talk, let’s get cracking! Inter Milan made a rough start to the season but bounced last time out with a 3-0 victory away to Bologna. Parma remains winless after three games and will be desperate to change their fortune here, however, I highly doubt they would play for a win here. Expect Parma to do their best to keep things tight and look to counter-attack when they can. I’m backing Inter to claim a routine victory. Get on the halftime-fulltime win at 15/20. Napoli were embarrassed before the international break, suffering a 3-0 drubbing at the hands of Sampdoria. A return to their home patch might just be what they need but Fiorentina is buzzing with back-to-back wins and will be looking to maintain that form. Although Napoli have won two of their three matches, I don’t think they have looked as threatening as they were under Maurizio Sarri. The Viola are tipped on the win/draw Double Chance at 12/10. Newly-promoted Frosinone already find themselves dwelling in the drop zone without a win after three games and are yet to find the back of the net, conceding five times. Sampdoria demolished Napoli 3-0 at home before the break, a win that would have given the team a massive boost in confidence. The away team is tipped to come out on top. Roma would have been disappointed before the international break after going down 2-1 to AC Milan at the San Siro. However, their opponents, Chievo, are bottom of the log, winless after three matches while conceding nine goals and scoring just three times. Roma has won the last four matches at home against Chievo by at least two goals and are tipped to oust them yet again. Back the hosts on the (-1) Handicap at 6/10! Udinese fought hard last time out, despite suffering a 1-0 defeat at Fiorentina but a return to their home ground might just give them that extra push to claim all three points here. Torino earned their first win of the season, grinding out a 1-0 win over SPAL 2013. Both sides were struggling to score goals before the break but I’m expecting them to be much more attacking minded on Sunday. Both Teams to Score – Yes – is tipped at 7/10. Juventus are the only team with a 100% win-record after three games and that is something that could have been expected. But Cristiano Ronaldo not finding the back of the net in any of those clashes is surprising to say the least. Sassuolo, however, are second on the log with two wins and a draw and will be looking to maintain their superb start to the new campaign. I’m adamant that CR7 is due for a goal so with that being said, wait for the Same Match Betbuilder and climb on the Old Lady to win and Ronaldo to score. Genoa were involved on the wrong side of an eight-goal thriller before the break, going down 5-3 at Sassuolo. Nonetheless, they showed off some great attacking football and will be looking to replicate and build on that in front of their beloved supporters on Sunday. Bologna have been dismal with two losses from three matches, conceding four goals without scoring. There are no positives you can take from that. Take Genoa to utilize home advantage. It’s difficult to wrap my brain around Empoli this season but then again, we are only three games in. They saw off Cagliari 2-0 in their first home game of the season and will be looking to add to that. Lazio began their campaign with consecutive defeats before battling to a hard-earned 1-0 home win over Frosinone. Three of the last four meetings between the sides have seen Under 2.5 goals. Follow the trend at 11/10. Cagliari surprised all last time out with a 1-0 victory away to Atalanta and hopefully, the international break doesn’t slow their momentum down. AC Milan were unlucky in their opening match at Napoli despite going down 3-2 but they redeemed themselves with a 2-1 home win over Roma last time out. The Rossoneri have a top record against the hosts but are struggling defensively. Get on the Matchbet + Both Teams to Score – AC Milan and Yes – at 51/20. SPAL 2013 began the season like a house on fire with two wins on the bounce but went down 1-0 at Torino last time out. They have been solid defensively but I don’t think they have been tested enough and Atalanta have the firepower to do just that. La Dea were disappointing last time out, going down 1-0 at home against Cagliari but I’m expecting a rejuvenated and hungry team come Monday night. The Totals market looks ripe for the taking at 9/10! Get on!